“I just wanted to thank you again for your superb music last night. 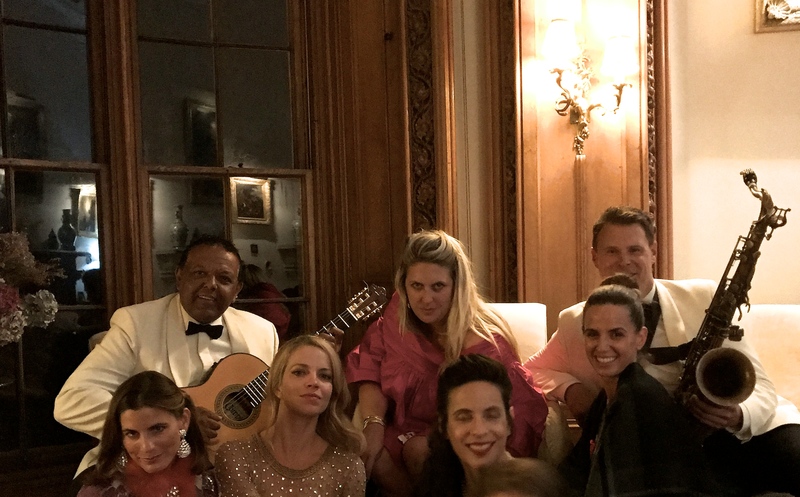 It was just exactly what we needed for the evening and you and the guys performed so beautifully, with many of our friends commenting on your talent and skill. Thank you and I’ll have no hesitation in recommending you to anyone and you have been a pleasure to deal with”. 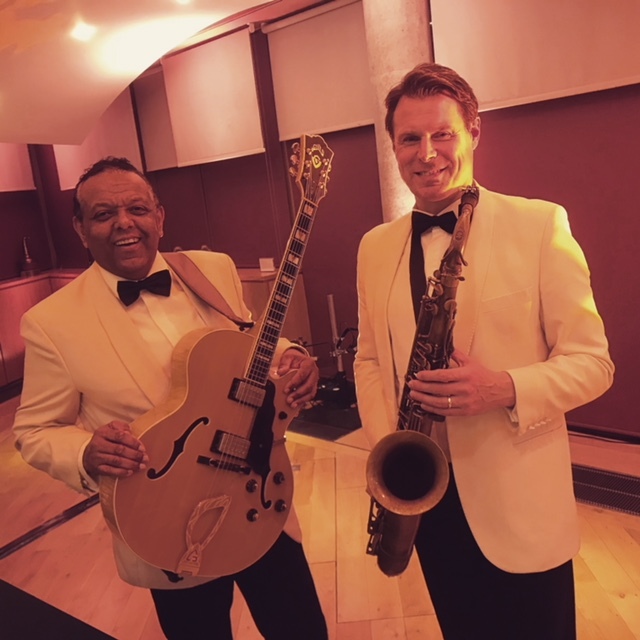 The Ritz Trio performed at the Scottish Parliament building this week on behalf of the Scottish Woodland Trust. 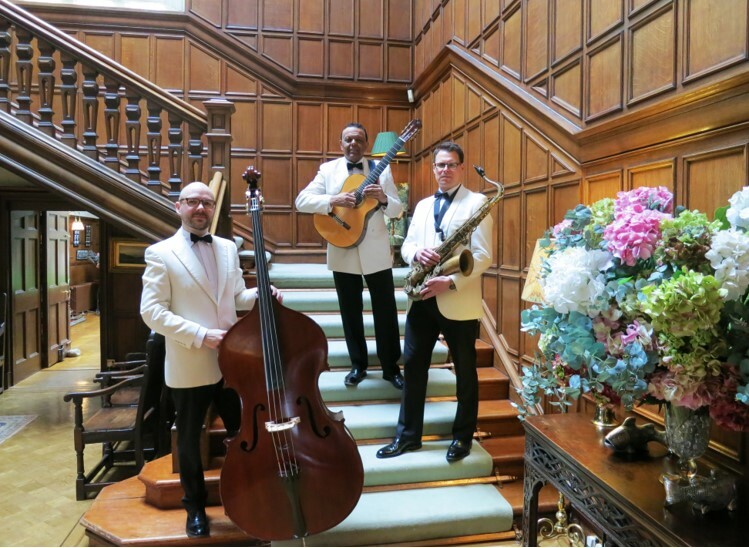 We thought this would the perfect opportunity to use this photograph of the Ritz Trio taken at Scone Palace! 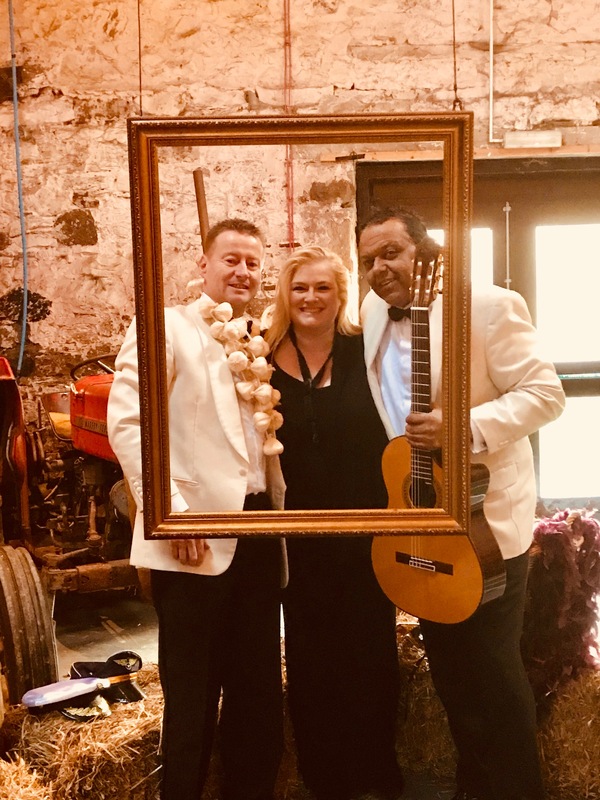 The Ritz Trio have been booked to play at the Scottish Parliament Building in Edinburgh in December for a event with Woodland Trust Scotland.This will be the first time the Trio have performed at the venue. Watch this space for more news on the event. 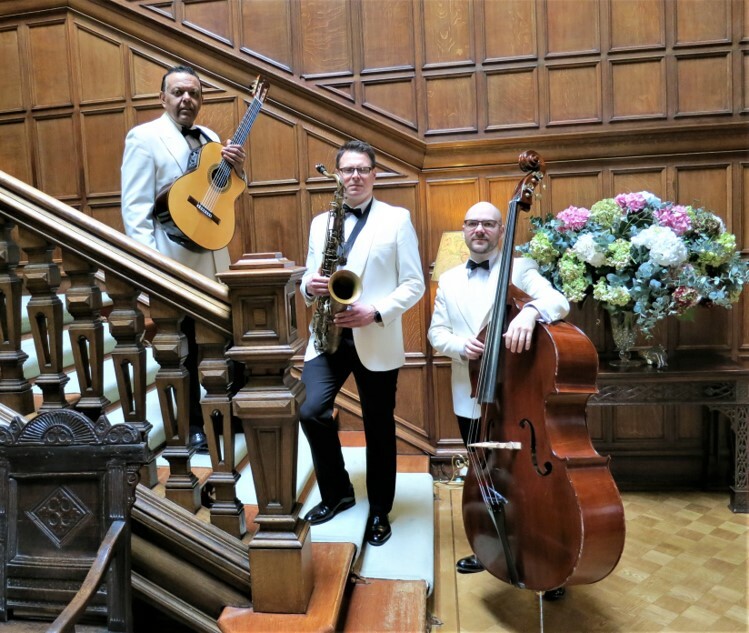 The Ritz Trio played for Prince Charles this week at an event marking the tenth anniversary of the rescue of Dumfries House. In 2007, the stately home, nestled in the Ayrshire countryside, was about to be sold off but Prince Charles decided to use his various charities to buy it – and save the house for the nation. 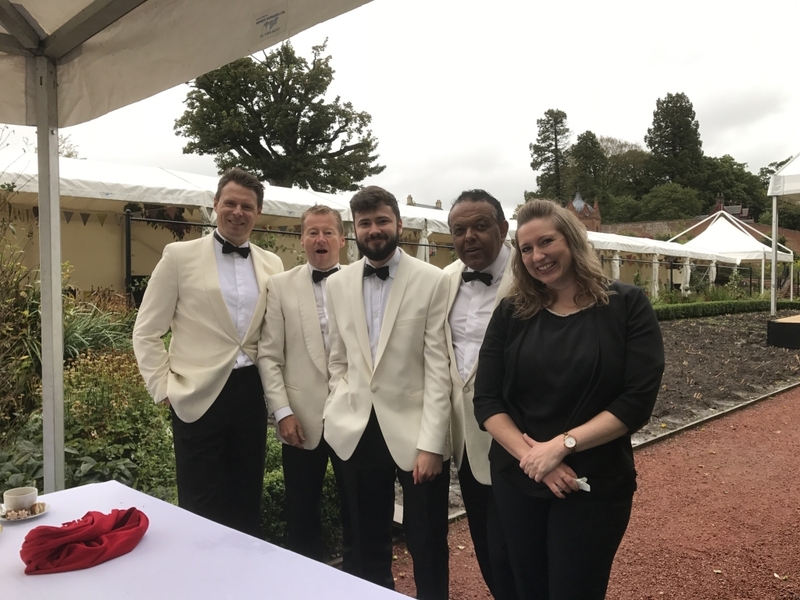 Rain failed to dampen the spirits of the garden party and the Ritz Trio with special guests Seonaid Aitkin (Violin) and Fraser Urquart (Piano) had a fun afternoon! 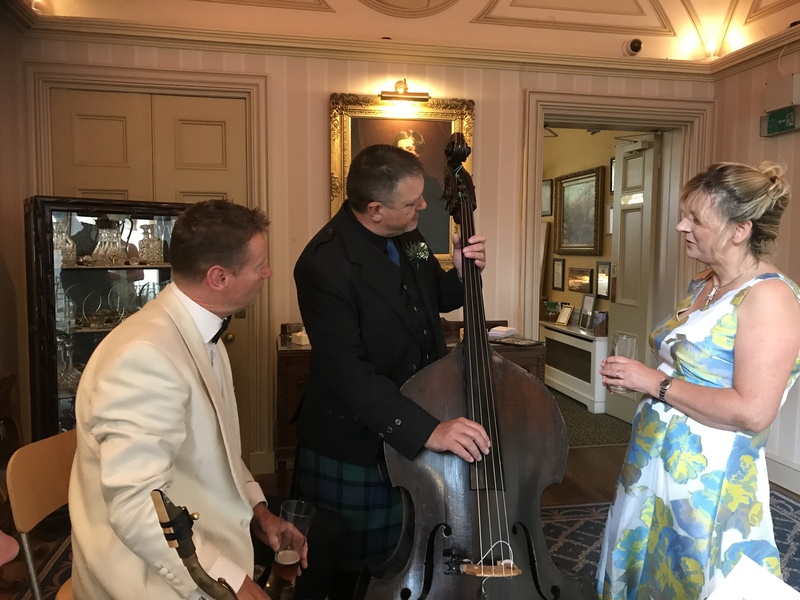 Andy the Ritz Trio bass player gives an impromptu double bass lesson to one of the guests at Balbirnie House at a recent wedding. 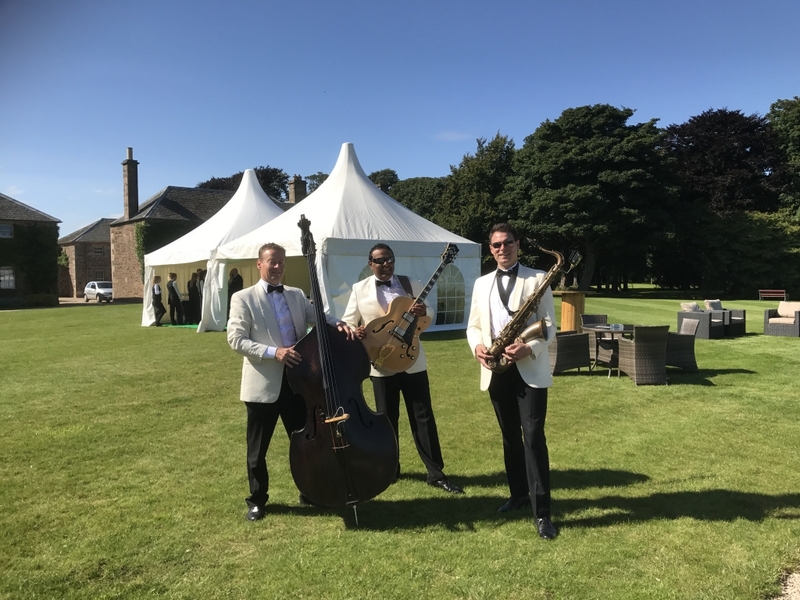 It’s always good to be playing down at the lovely Archerfield House – especially when the sun is shining. Norrie and I just wanted to thank you for the wonderful performance from you and the boys. 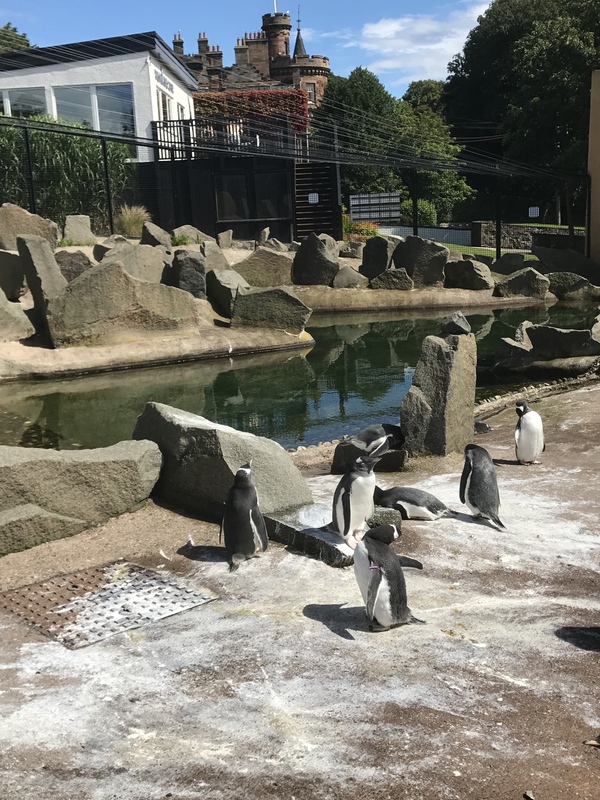 It was a fabulous day. I would certainly have no hesitation in recommending you to others. Another unusual venue for the Ritz Trio! 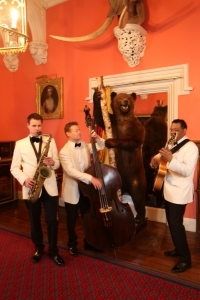 Well another first for the `Ritz Trio, this week playing for a wedding at the Mansion House at Edinburgh Zoo!